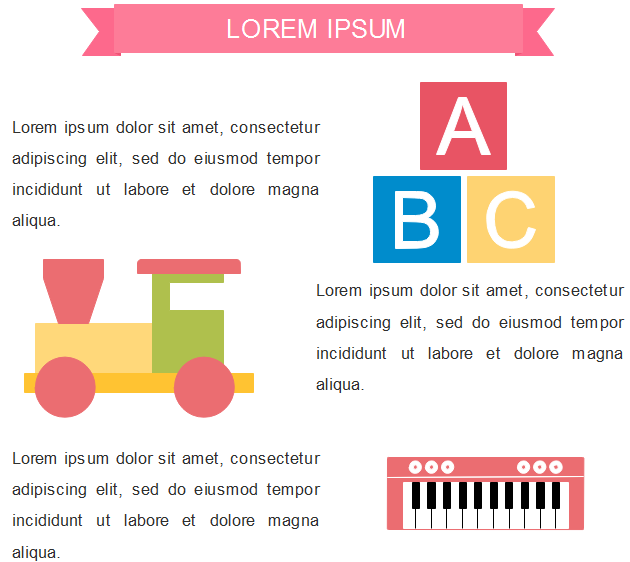 Creating baby infographics with Edraw Infographic software which provides a large quantity of built-in infographic baby elements is such an effortless and time-saving thing. Below pictures shows part of baby elements Edraw infographic software offers. Except those, users can also find many other infographic elements they may need in the left libraries, such as basic shapes, arrow shapes, text blocks, callouts, titles, lines, etc. All the elements Edraw provides are editable. Users can customize the dimensions, colors and directions based on different needs. 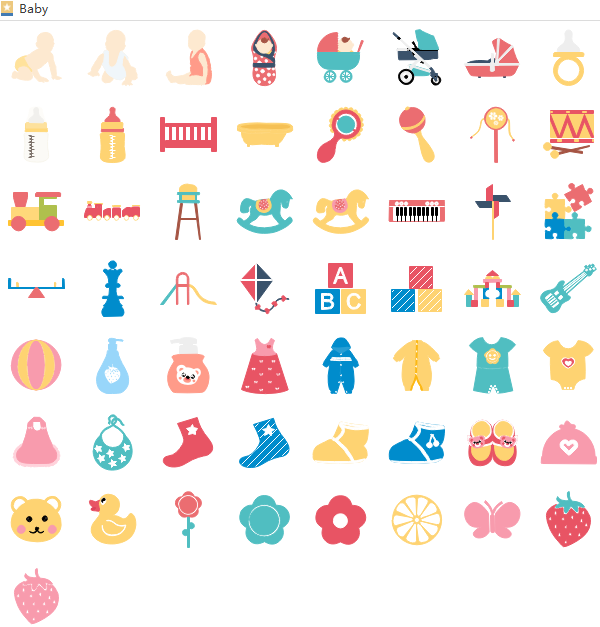 Here lists 3 examples of infographic baby elements applications. 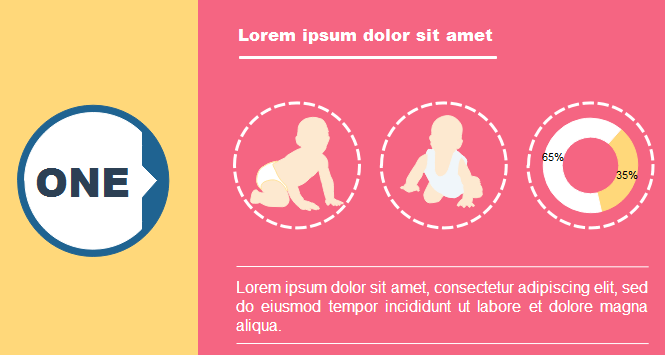 Users can also select the elements they like to create their own baby infographics. People are easy to know two babies in the first example are learning crawling. And according to the statistics, most of babies are able to crawl when they are 6-10 months old. The second example shows three kinds of baby carriages. It’s better to list out the usages of each carriage below their pictures, then parents can choose the exact one that they need. When babies grow up, parents may foster them some interests and hobbies based on their daily performance, such as English, toys and music showed in the last example. 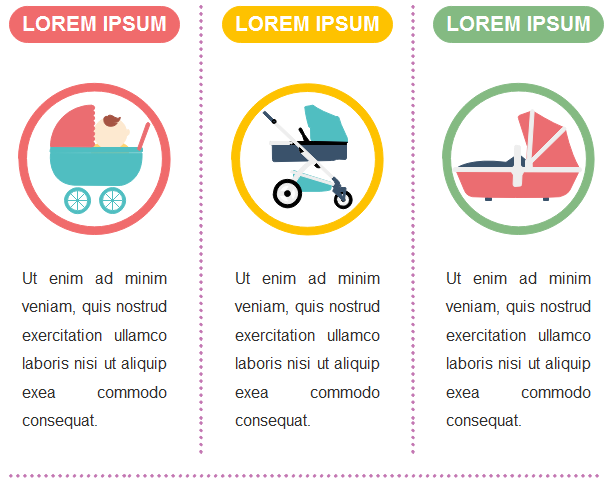 Want to use the above baby elements in your infographics? Download Edraw Infographic Maker! It includes a large variety of baby shapes which are easy to modify. Design a wonderful infographic is just a few click away. Try it now!